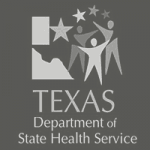 The mission of the Texas Department of State Health Services (DSHS) is to improve health and well being in Texas, and that includes managing the gathering of vital statistics. In 2008, Texas Health and Safety Code 193.005 became effective, mandating that physicians, funeral directors, medical examiners, justices of the peace, and local registrars switch from an entirely paper-based system for processing death certificates and adopt the new Texas Electronic Registrar (TER). A year after the bill was made law, only 30% of all physicians had made the conversion. While the electronic version simply replicated the paper system, physicians didn’t want to change. The Vital Statistics Division Field Services Team had only four personnel to perform the much needed training all across the state. Because the Texas Electronic Registrar (TER) software was unique, familiarity with any other software was irrelevant; there was no learned behavior to transfer. The challenge wasn’t only one of skills training; it was in motivating the physicians to use the software. A team of three instructional designers mapped the process associated with correctly completing a death certificate in TER and created Captivate recordings of the process to illustrate its simplicity. At the same time, a knowledge-base of FAQs was created to provide information on demand related to specific tasks in TER for quick and easy recall. To motivate the physicians, the relevance of their own ethical principles as articulated by the American Medical Association (AMA) was incorporated into the training citing how TER applied and that they had an “ethical” responsibility to expedite the complete and accurate processing of all death certificates. To promote the benefits of TER, physicians and funeral directors provided video testimonials that were published on the Vital Statistics training portal. Today, the number of electronic filings is over 97%. Effective instructional design can be a great support in promoting cultural change around new systems and processes. Contact our team to learn more about our custom instructional design and elearning development services. "To develop your curriculum, our instructional designers work with your experts to collect knowledge, pare it down to the essentials, and organize it. This enables learners to easily understand and master appropriate skills."